Your Every Kid in a Park pass will give you free access to all federal parks, including New Melones Lake! At our visitor center, which is open 10:00 am to 4:00 pm Tuesday through Friday, you can check out live animals, watch a video on saving water, or learn all about how New Melones Dam was built. Sign up to be on our mailing list to learn all about the many exciting events and activities that go on throughout the year at New Melones Lake! When entering the New Melones Lake Recreation Areas at either Glory Hole or Tuttletown, display the paper voucher or pass face-up on the dashboard of your vehicle. It will inform the ranger on patrol in the Recreation Area that the day use fee has been covered. If you need any help with the process or have any questions, call Ranger Hilary at 209-536-9094 extension 211. You can also come by the visitor center at 6850 Studhorse Flat Road, Sonora, CA 95370, where a ranger will help you get your paper voucher and exchange it for the annual pass at the same time. If you are unable to make it to the Visitor Center but still want to go visit a federal park, you can! Your Every Kid in a Park paper voucher works the same as the pass. For more information on the year-round activities that go on at New Melones Lake, call the New Melones Administration Center at 209-536-9094 or visit our website. 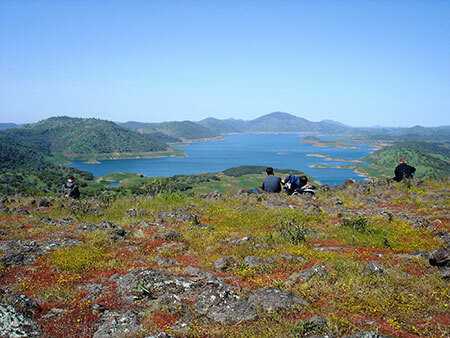 Lake Berryessa’s Day Use Areas at Oak Shores and Smittle Creek offer beautiful views of the lake with many free of charge opportunities for kids and their families to hike, swim, picnic, fish and barbecue. Park Rangers loan out life jackets to swimmers at the Oak Shores Day use area. The Dufer Point Visitor Center is open daily and offers information about native animals and lake history. The Dufer Point Visitor Center is located at 5520 Knoxville Road north east of Napa, California. For more information about visiting Lake Berryessa or our many park ranger activities, please call the Dufer Point Visitor Center at 707-966-2111, extension 113 or visit our website. The American River Water Education Center is an educational information center open to the public and group tours. 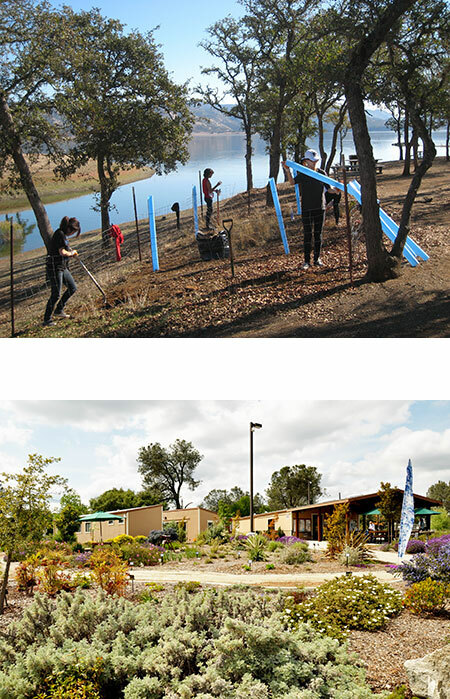 The center has a classroom, a picnic area, restrooms and water within its water-wise demonstration garden and wildlife habitat near Folsom Dam and Lake. The exhibits offer educational experiences on water conservation and watershed changes by self-guided tours or classroom programs. Nearby trails connect the Sacramento and American Rivers to Folsom Lake. This amazing learning experience about how we manage water in the west also serves as a great introduction for a visit to Folsom Lake. Our programs are free and based on 4th grade curriculum. The center is open to the general public Tuesday through Friday, 10:00 am to 4:00 pm. Learn more by visiting our website. To learn more or schedule a field trip for your class, please call the American River Water Education Center at 916-989-7132 or visit at 7785 Folsom-Auburn Road, Folsom, CA 95630.